A recent study of SMEs, conducted by lawyerfair.com discovered that ‘personal recommendation’ remains the preferred option when business owners are choosing a lawyer. 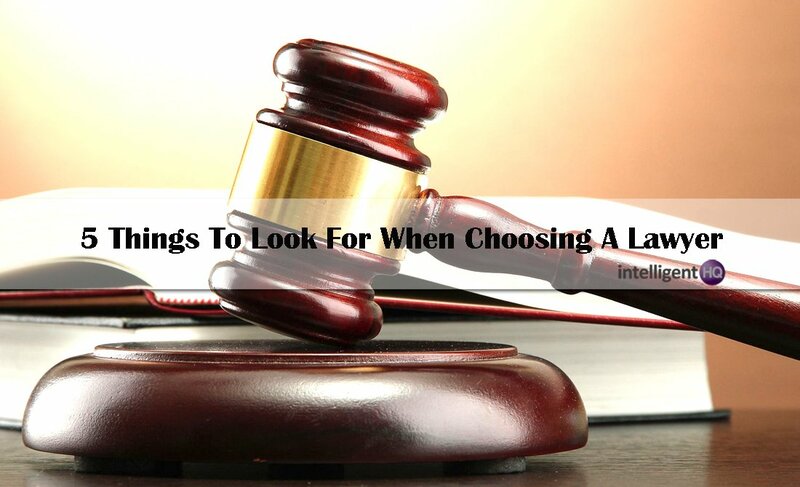 Whichever route you choose for finding and selecting a lawyer, these are 5 things you might want to consider before signing that engagement letter. The days of the generalist are over. What you need is an expert in the law required and not someone who occasionally dabbles. This is particularly the case in areas of law which require a combination of legal skills and commerciality ie with M&A. There is often little point of difference between lawyers when it comes to the law. What separates them is added value elsewhere, in particular their approach to commerciality, and never more so than in the world of M&A. Anyone who has been involved in the buying and selling of businesses, particularly in the SME market, will understand that law is rarely the major driver to a successful completion and that the lawyers insight and abilities (alongside other advisors) into how to complete deals is key. Many a reasonable deal has fractured due to inexperienced over lawyering. Don’t instruct the firm you always instruct and accept their appointed lawyer for the work required. Find out about their specific experience in the type of work required. There is much debate within the legal world about the traditional way that lawyers impose hourly or timed billing. Whilst many firms are changing their approach and providing fixed fee services, the only thing fixed with the majority of firms is their commitment to timed billing. This lack of certainty about fees and a sense that costs are always uncontrolled with lawyers is a primary reason why business owners are so grumpy about the legal services market and why many prefer to muddle through rather than seek external legal help. The market is changing and fixed (or at the very least … indicative) fees have arrived. The era of hourly fees is thankfully being put under pressure by a more commercial and risk sharing approach to the relationship between buyers and suppliers of legal services. Don’t accept that an hourly rate is the only way to charge for legal services, it is not and there are many alternatives if your lawyer insists that it is. It has often been the case that a partner may lead or manage client instructions yet the bulk of the work and advice is handled by a trainee. Whilst this is not always reflected in the final bill it does mean that the client is often underwriting the training programme of the traditional legal firm. Challenge the firm(s) you want to instruct about who is actually going to do the work and be aware that many alternatives to the traditional firm exist not least within a growing range of boutique and niche law firms who, with a flat structure and reduced cost base, can deliver highly cost effective advice for their clients. Find out how your firm operates and who will be doing (not managing) your work. It was recently announced that legal regulators plan to release background information about lawyers – in particular information relating to any historic complaints – in a much more user friendly format.This isn’t completely new as information is currently available via the ‘Legal Choices’ website, but the intention (sometime during 2014) is to provide it in a much more digestible format that before. This is particularly useful data for legal comparison websites to include within their profiles of lawyers. At LawyerFair, we include this level of lawyer due diligence as part of our service but it’s a welcome move forward in the creation of a more transparent legal environment. Background checks should not only cover complaints but also reviews and testimonials and in particular, any customer feedback about the particular work you require doing. Lots of praise about one area of law doesn’t equate to expertise in all. Ultimately, don’t rely on a recommendation and/or the firm you’ve always instructed because the legal market is opening up and will continue to do so. 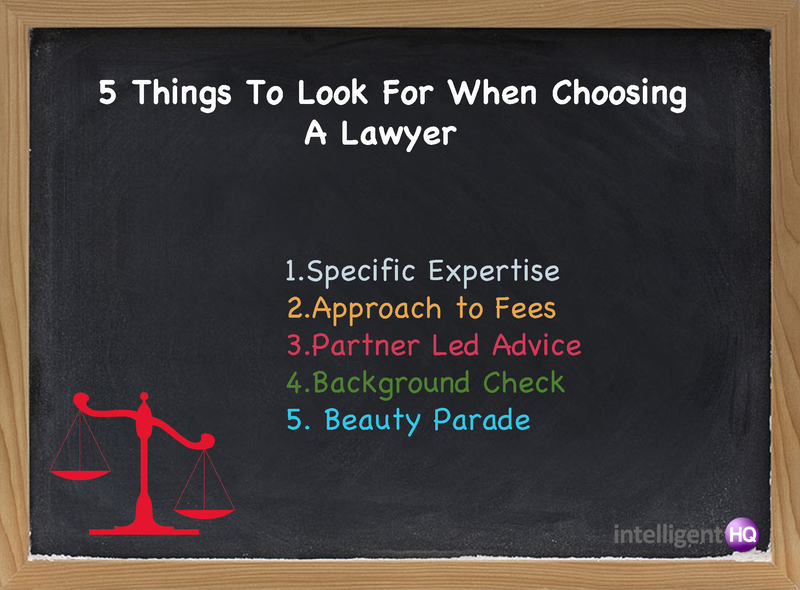 It’s much easier today to create a beauty parade of lawyers profiles and their fee proposals. You undertake that kind of comparison when instructing a tradesman but it’s surprising how few business owners conduct the same detailed process when selecting their lawyer. Comparables with lawyers are more difficult but alongside price, you can also make an assessment on their niche expertise, attitude to fees and basic commerciality ie whether they get what you need to commercially achieve with the advice. Within that beauty parade of quotes, you might even receive some initial guidance which enables you to form a view as to which lawyer is best suited to you and the work required.